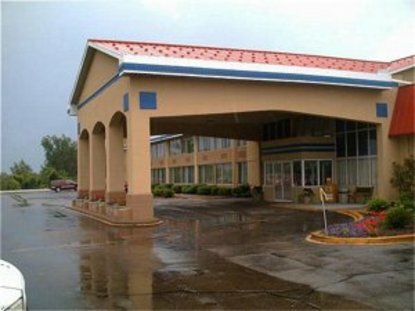 The Holiday Inn Express Wheeling, WV is conveniently located on I-70 at exit 11, Dallas Pike, in Wheeling, WV, just 1/2 mile from Cabela's and Wheeling's many attractions. We feature 115 clean, comfortable rooms, fitness center, high speed internet access , business center, coin laundry, *Express Start*Hot breakfast in the morning served in our Great Room, free local calls, conference and meeting areas. AAA 3 Diamond Rating. Enjoy a unique breakfast experience at our new Express Start Breakfast Bar served every morning featuring a selection of hot foods, juices, cereals, breads/pastries, and even hardboiled eggs. We have also created the world's best tasting cinnamon roll. Visit Wheeling, WV and stay smart at the Holiday Inn Express Hotel. This hotel is committed to providing accessible facilities under the American Disabilities Act. If your accessibility needs are not met, please contact the Hotel Manager on Duty. Should you require additional information regarding accessible facilities for guests with disabilities, please call 1-800-Holiday (U.S. and Canada) or contact the hotel directly. For the hearing impaired, TDD service is available at 1-800-238-5544 within the U.S. and Canada.